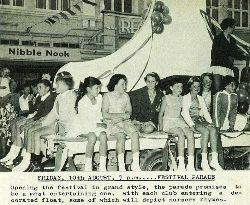 A youth festival week, organised by the Greater Gisborne Youth Action Committee, will commence tomorrow, August 10th, with a parade of decorated floats and a film premiere, and will extend through the following week, ending with the Festival Fancy Dress Ball in the Army Hall. 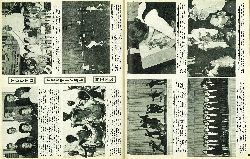 The various items on the programme, which aims at high lighting some of the useful activities in which the youth are participants, are listed on this and the following page. 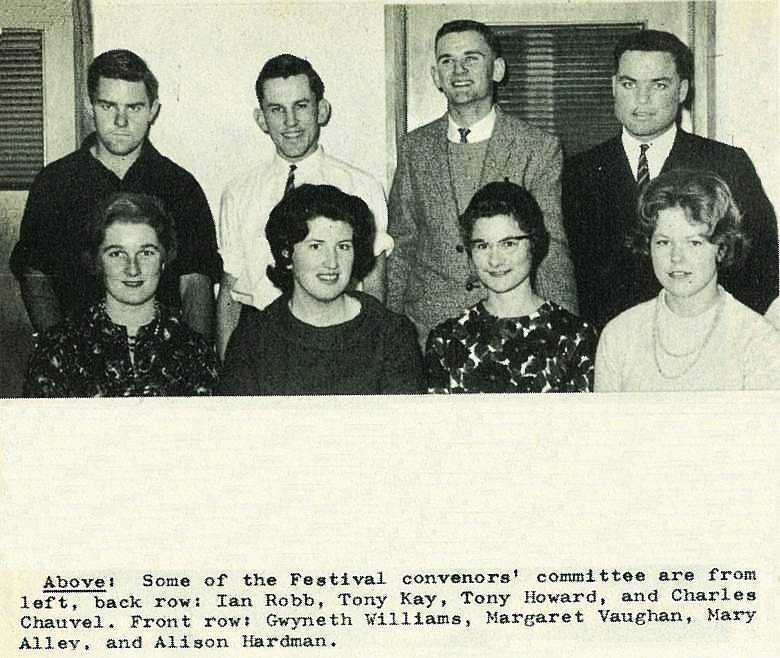 Some of the Festival convenors' committee are from left, back row: Ian Robb, Tony Kay, Tony Howard, and Charles Chauvel. Front row: Gwyneth Williams, Margaret Vaughan, Mary Alley, and Alison Hardman. 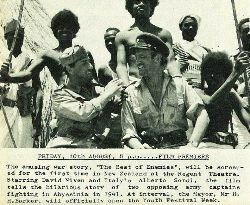 The amusing war story, "The Best of Enemies", will be screened for the first time in New Zealand at the Regent Theatre. 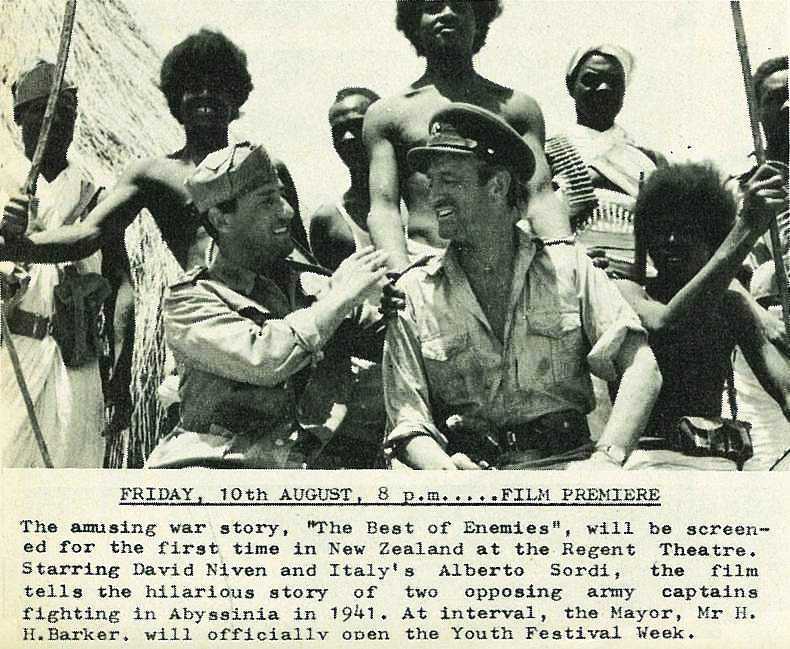 Starring David Niven and Italy's Alberto Sordi, the film tells the hilarious story of two opposing army captains fighting in Abyssinia in 1941. At interval, the Mayor, Mr H. H. Barker, will officially open the Youth Festival Week. 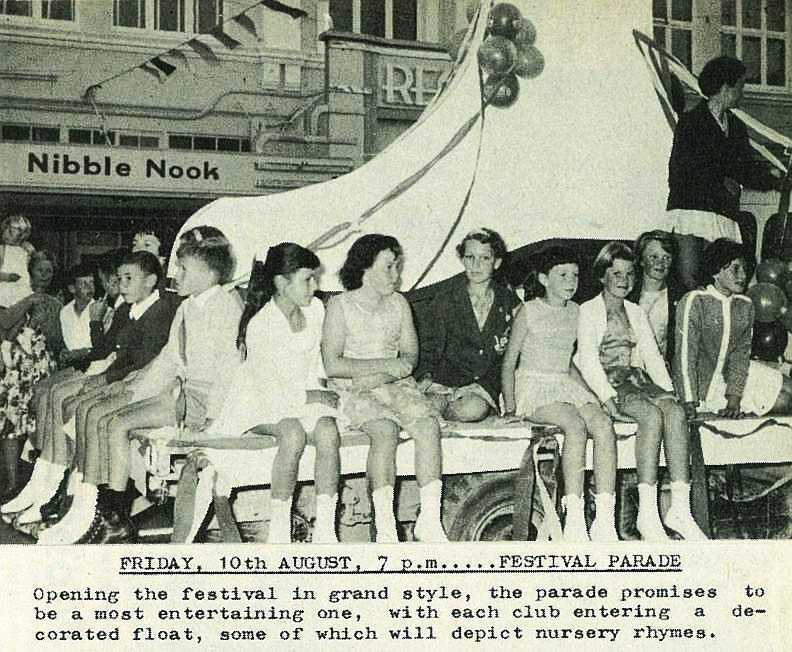 Opening the festival in grand style, the parade promises to be a most entertaining one, with each club entering a decorated float, some of which will depict nursery rhymes. 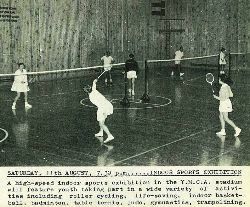 A high-speed indoor sports exhibition in the Y.M.C.A. 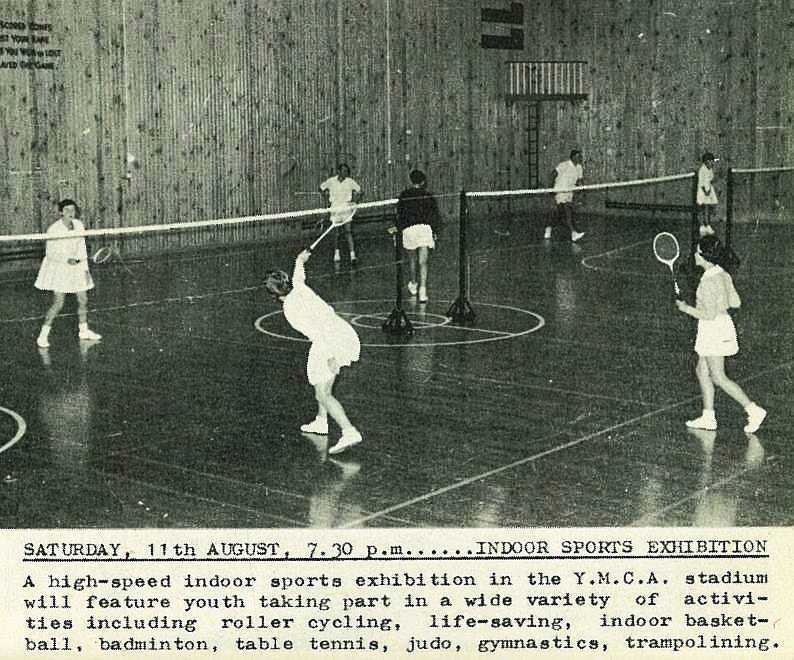 stadium will feature youth taking part in a wide variety of activities including roller cycling, life-saving, indoor basketball, badminton, table tennis, judo, gymnastics, trampolining. 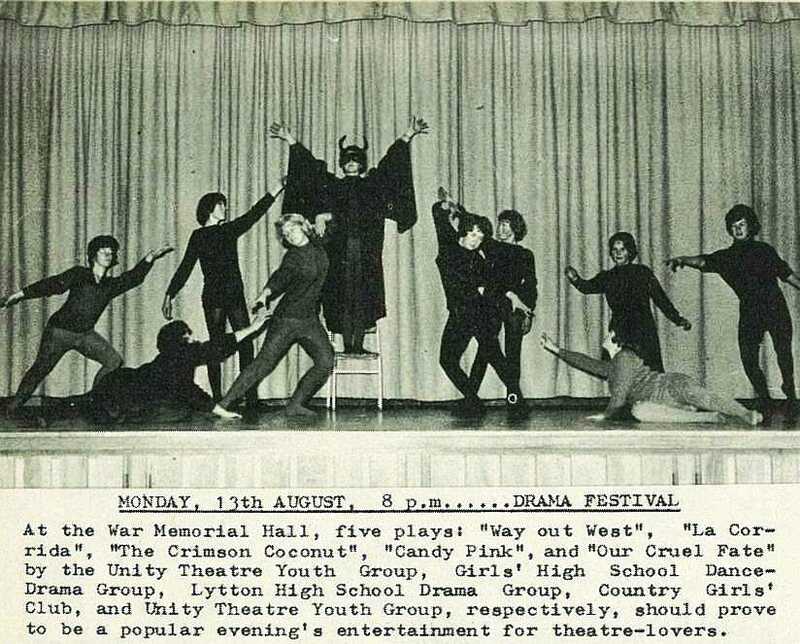 At the War Memorial Hall, five plays: "Way out West", "La Corrida", "The Crimson Coconut", "Candy Pink", and "Our Cruel Fate" by the Unity Theatre Youth Group, Girls' High School Dance-Drama Group, Lytton High School Drama Group, Country Girls' Club, and Unity Theatre Youth Group, respectively, should prove to be a popular evening's entertainment for theatre-lovers. 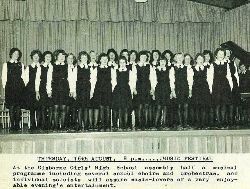 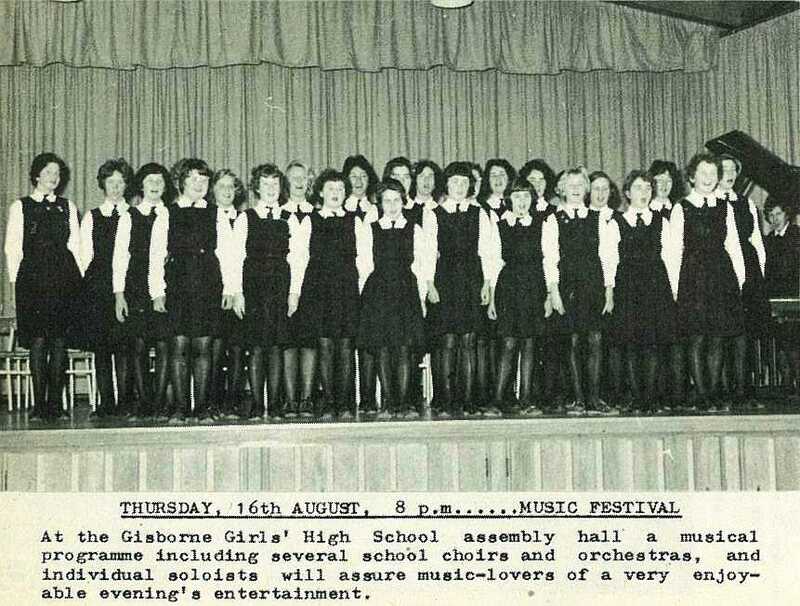 At the Gisborne Girls' High School assembly hall a musical programme including several school choirs and orchestras, and individual soloists will assure music-lovers of a very enjoyable evening's entertainment. 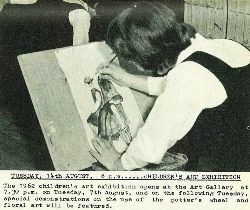 The 1962 children's art exhibition opens at the Art Gallery at 7.30 p.m. on Tuesday, 7th August, and on the following Tuesday, special demonstrations on the use of the potter's wheel and floral art will be featured. 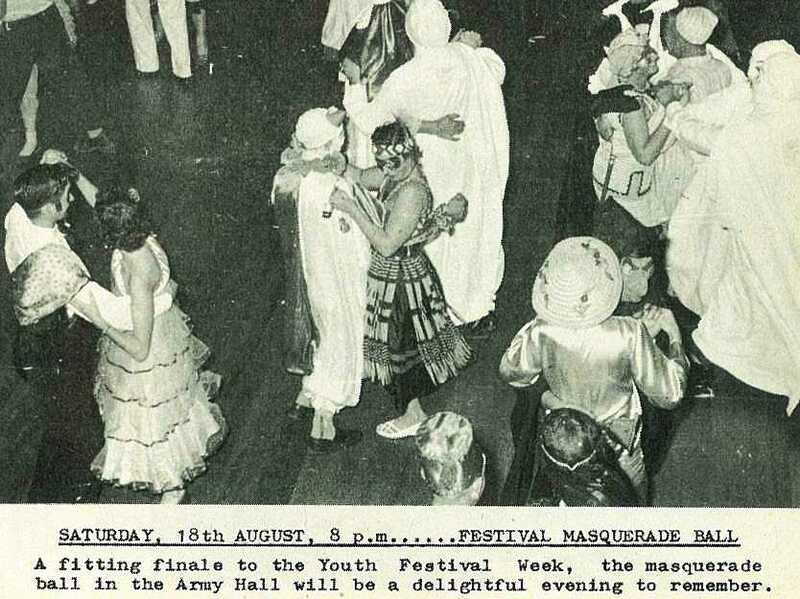 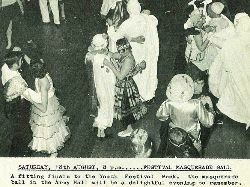 A fitting finale to the Youth Festival Week, the masquerade ball in the Army Hall will be a delightful evening to remember.